TEDxYouth@ Grand Junction is organized and more...0 produced by a dedicated team of youth leaders with mentoring from a couple of experienced adults. It is filmed and edited by Positive Movement Films, LLC. TEDxYouth@ Grand Junction brings together youth 11-20 years of age from all demographics in the valley in a non-competitive atmosphere. This is our first annual TEDxYouth event in Grand Junction and we are planning to grow even more next year. Attendance to TEDxYouth@ Grand Junction is free. Tim + Richard bring their fresh mix of acoustic more...0 rock, gypsy, folk, jazz, blues and more to the lawn of Two Rivers Winery. Bring a picnic and lawn chairs for a perfect evening in the shadow of the Colorado National Monument. Wine is available by the glass or bottle. Gates open at 6 pm. All proceeds benefit the Western Colorado Center for the Arts (The Art Center). Tim + Richard bring their fresh acoustic, rock, more...0 gypsy, folk, jazz, blues and more to the lawn of Two Rivers Winery. Bring a picnic and lawn chairs for a perfect evening in the shadow of the Colorado National Monument. Wine is available by the glass or bottle. Gates open at 6 pm. All proceeds benefit the Western Colorado Center for the Arts (The Art Center). THE GREAT AMERICAN READ, hosted by Meredith more...0 Vieira, is an eight-part television and online series designed to spark a national conversation about reading and the books that have inspired, moved, and shaped us. The series will engage audiences with a list of 100 diverse books. Audiences are encouraged to read the books, vote from the list of 100, and share their personal connections to the titles. 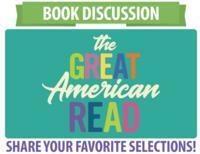 Great American Read Book Discussions at the Central Library June 20 at 11:00am & July 17 at 6:30pm. Meet up with fellow book lovers and share your favorite selections from the Great American Read top 100 list! No need to read all the choices, just come prepared to talk about your top choice! Attend one or both meetings. Seating is limited. Registration required for this program. Sign up in person at the Central Library or by calling 970-243-4442. Become one of our Canine Convicts or Feline more...0 Felons and raise your bail to care for all the animals that are locked up while they await their forever homes. 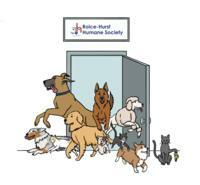 Individuals and teams will be locked up in one of our dog kennels or in our cat rooms on Friday, June 22 from 9:00am-4:00pm until they meet bail, all the while socializing with our animals and feeling what it’s like to be a shelter pet. CD Release Party! Come enjoy Stray Grass more...0 performing in the Radio Room to promote their lastest CD-Stray Grass ""Live in the Radio Room"". It's gonna be a great deal for a great time. $20 will get you in the door AND get you a copy of their brand new CD! Let's show these Local favorites how much we love them. Join us June 22nd at 7:30pm for some of the best live music in one of the best venues in town. Doors open at 7pm and tickets are available by calling 970-241-8801 or online. 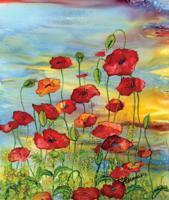 Alcohol ink is a fluid painting medium that more...0 demands determination and experimentation to master. With practice, artists can create compositions that radiate harmonious, brilliant colors. Carol Ann will share her methods to control these vibrant inks on Yupo paper. Students will then apply these techniques to create their own paintings. Come in old clothes, as the inks will not wash out.